An uninsured subcontractor can increase your exposure to liability and workers compensation claims, affect your experience modification factor and increase your premium. If the subcontractor does not carry insurance, your policy could respond in the event of a claim. 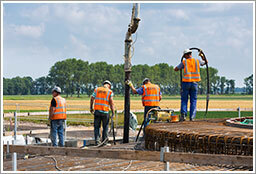 An uninsured subcontractor will be considered to be your employee. The insurance company’s auditor will ask for both payroll and 1099 records in order to determine final premium. If certificates from subcontractors cannot be produced, the cost of those subcontractors will be included in your audit. We urge you to require your subcontractors to be insured and to furnish a certificate of insurance as proof. Click here to download a copy of this blog.